Well, another full and satisfying weekend has been added to the memory bank. The soundtrack for this one could have been My Favourite Things as it was full of everything that matters to me — family, music, reading and some surprise visits. I even enjoyed some bonus time, having taken a half day from work to attend a distant concert on Friday night. While it was all good, probably the nicest for me was an afternoon of shopping with my daughter. A love of clothes and spending money on them is a frivolous practice I apparently inherited from my mother. Hedonistic, perhaps, but even if I don't waste money on yet another item of clothing I might want, but don't need, I enjoy the process. As does my girl, though she leans towards more practical spending, looking for great bargains and sticking a little closer to necessity purchases than indulgences. On this particular sunny Saturday, though, I really did have a reason for entering my favourite women's fashion store. With St. Patrick's Day only five days away, I was in search of something green to add to my closet. Though I joke about having nothing to wear and three closets to put it in, there really is a dearth of verdant hues hanging in any of them. Fortunately, I came out of the store with a bag full of new purchases. Unfortunately, none of them are green. I really like the spirit and fun of St. Patrick's Day. I want to be part of it. But it seems I might have to dig deep to find something appropriate to wear to honour the day. 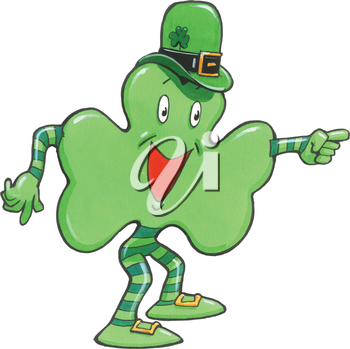 At the very least I guess I'll be tacking on a shamrock or two.